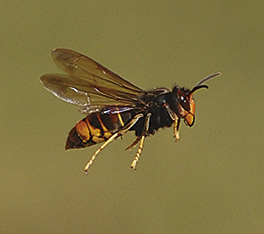 This page aims to provide snippets of information, as they come in, on the location of confirmed sightings and any thoughts/new ideas that may help to reduce the impact of Asian hornets as they are sighted and dealt with. 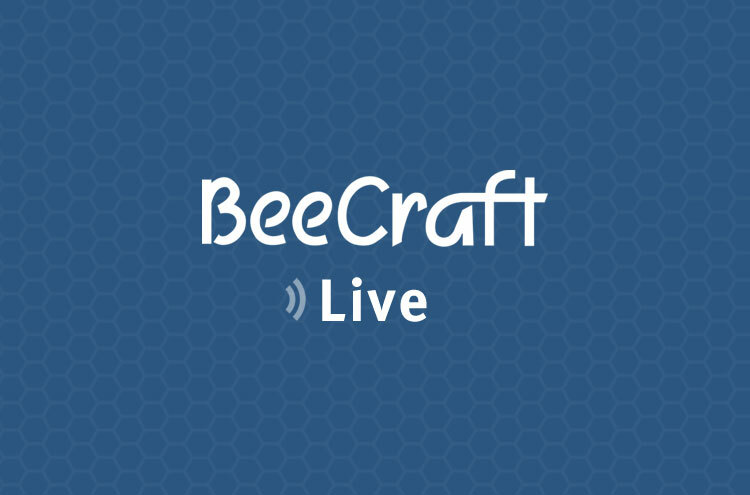 And make a note of the contact details for your local beekeeping association or group. What concerns are there about the destruction of nests? To prepare the way in terms of cutting away branches for access, leaving ladder in situ etc, and then returning after dark to complete the work to ensure that all defending hornets have returned to the nest. However, take a look at these YouTube videos made by Richard Noel in Brittany. At the Jersey Cider Festival an Asian Hornet stand with nest and live hornets attracted people from Australia, Germany, France, England, Holland and Ireland standing 6 deep at times. The main comment made was “they look bigger in real life, the posters and leaflets do them no justice”. A leaflet depicting an Asian hornet, wasp and honey bee in actual size for realistic comparison would be beneficial. So, how important is it to destroy nests in the autumn? Considering the high winter mortality of queens and if only 2.5 % survived the winter this would have given Jersey 260 potential nests next year (2019). 260 nests having an average hornet content at high season of 6000 per nest per year would have produced a hornet count over the year of circa a massive 1.5M hornets in 2019. Each hornet starts life as a grub who only eats protein in the form of pollinators at the generally accepted rate of a minimum of 10 per day each. It’s not difficult to see the impact this would have over 2019 on the local pollinators. In September time Asian hornets were hawking on other insects on the ivy. As we are out and about keeping ourselves fit at this time of year, this is an opportunity to remain vigilant that may appeal more than sitting staring at hives or bait. Scrutinise a map of your own area and see what fields/other places of uncertain ownership are in your vicinity. Make/ local enquiries now. If there is an Asian Hornet sighting and the need to start tracking down nests, you will know at once who to ask for permission to walk over their land and place bait stations. Enquiries can be prioritised: land that is particularly helpful for tracking efforts is anything with an open aspect, preferably a bit elevated, so that as hornets leave your station you can watch them with binoculars and may even see them descend into a specific tree. The further you can observe a flight line, the more accurate your triangulation with two other stations will be. That can cut days off a search. An A4 Google Earth picture of an area where there has been a hornet sighting can be used for nest tracking, but A3 makes the job easier. Enquire who has A3 printers locally, and who would print for you if you emailed them a map. The trees etc visible on Google Earth make tracking much easier than it would be with a regular OS map. Goat willow Salix caprea – licking at the honeydew and taking wasps that are doing the same. Would they also take willow aphids which are comparatively large, numerous and would make a tasty snack for a growing larva? Maybe they would like the same plant in spring?